For most people, creativity seems to have closer ties to freedom than constraints. You may have the idea that creativity is something that happens best when the possibilities are endless—when anything goes and you have all the time and resources you could possibly need. This sounds like the ideal scenario for completing any creative project, but that’s where many are misinformed. Going at a project no holds barred is counterproductive for a few reasons. Having too many possibilities can make it difficult to know where to begin, come up with seriously creative ideas, or even just to get it done. This is actually good news. In the professional world, all projects come with constraints, be it time, budget, audience, or format. These may feel restraining at times, but trust me, you’re much better off with them than without them. Think of these constraints like obstacles in a road. Sure, navigating around them might be a pain, but once you’ve experienced this maneuvering, you’ll be a much better driver and will have created a more interesting path than if you had simply driven in a straight line. And creativity doesn’t just mean thinking of good ideas—executing them matters, too. Being creative in the literal sense can benefit from constraints by narrowing focus and making it easier to get started. We’ll be taking a look at some of the reasons creativity loves constraint, and how you can use it to boost your creativity and productivity as a writer. Limitations inspire creativity because, to complete the task despite being limited, you have to be more creative. A 2015 study examined participants’ creativity while thinking about abundance and scarcity of resources. For their research, Ravi Mehta of the University of Illinois and Meng Zhu of Johns Hopkins University divided 60 undergrad students randomly into two groups. After writing an essay about growing up with either plenty of resources or few, the participants were asked to come up with interesting ways to use bubble wrap. Their ideas were then scored by a panel of judges, who found the “scarcity” group came up with more creative ways to use the bubble wrap. The takeaway is that an abundance of resources removes the incentive to be creative. Having everything that we could possibly need means that we will take the path of least resistance by using resources in the way that we know. On the flip side, scarcity promotes creative thinking. This is consistent with the findings of a study by Mihaly Csikszentmihalyi at the University of Chicago. He asked art students to paint something, giving half of the participants a blank canvas and the other half a canvas with a mark that had to be painted around. When judged by a panel, the canvases assigned with the pre-existing mark were seen as more creative. This is because constraints help us be more creative by getting us out of associative ruts. Since our brains rely on patterns to ease the burden of having to think all the time, they tend not to escape from the usual thought patterns unless forced to. For something new to occur to you, you need to take your mind outside of its regular thought patterns. Being thrown a curveball—like a lack of resources or a random obstacle to work around—shifts your mind out of its rut, making it more likely that you’ll be able to think creatively. When faced with limitations, the creative person doesn’t give up—they innovate. Though it may seem contradictory, some creative types love constraints, and excellent work that came out of limitation is everywhere. Just take a look at Ernest Hemingway’s six-word story, which he wrote on a bet, or erasure poetry, in which poems are created by blacking out portions of a previously existing text. Even many great works of art, like Michelangelo’s Sistine Chapel ceiling, were painted based on specifications from the commissioner. Frank Gehry, who was the architect of the Disney Concert Hall, is a big believer in constraints on creativity. The hall, which is famous for its sweeping, sleek design, was designed under strict specifications that would make for the best acoustics. The result was the iconic building we know today. He’s right—constraints do result in creative action, a lesson that we can take into our writing. The science is there, and the power of constraints is certainly backed by some famous figures. So, how can you join in and use constraints to boost creativity and productivity in your writing? You can use your limitations regarding your niche as inspiration by focusing on your audience or genre. When you’re writing, whether it’s an article or a novel, it’s crucial to keep your audience in mind. You may not realize it, but needing to tailor a piece of writing to a specific audience is an example of a constraint that makes it easier for you to write. Imagine trying to write a novel but having no idea whether it would be read by children or adults. It would be difficult to even get started! It’s the same for business writing—not having a clear view of your audience makes it harder to know what to include. Posing questions to yourself such as, “What does my audience care about?” and, “What are they looking to get out of my content?” can give you some clear starting points and boundaries, and makes it easier to focus on what you should be putting into your writing. 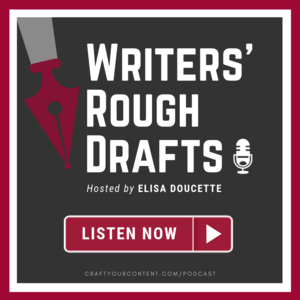 Giving yourself a clear idea of what genre you would like your writing to fit into can also be a constraint that gives you a solid starting place. What are the conventions of the genre? For example, if you’re a sci-fi writer, what would your audience expect from a sci-fi short story? Or, if you write blog posts about entrepreneurship, what sorts of things should you include? You don’t need to stick to the conventions exactly, but they provide limits that can be a source of inspiration. And if you find the constraints of your niche tricky to work around? Perhaps you’re running low on topics, or have to keep stopping yourself from venturing off into other areas. This is where your creativity will really shine. Remember the obstacles in the road—sometimes the most creative work happens not despite limitations, but because of them. Are you one of those people who believes that they write better under pressure? Well, you might be right! Now, I’m not suggesting that you leave everything for the last minute (although procrastination can be a positive part of the creative process). Instead, give yourself time limits for your writing, whether it be one deadline or several for different sections or aspects of your work. Having limited time forces us to focus on what is really important; often, we come up with creative solutions when we simply don’t have enough time. Damien Correll is a sought-after graphic designer who makes it a habit to impose deadlines on himself. He finds that restrictions on time force him to implement ideas right away and trust his gut feelings more, which for him results in better work. And it can work for you, too. Imposing deadlines on yourself may not seem like fun, but it could do the trick when you’re trying to get writing done quickly and creatively. You can try setting timers, sticking to a routine, or doing your work at coffee shops with an internet allowance, meaning that you must get it done in the two hours that you’re allowed. Another way to self-impose constraints is limiting the amount of time that you spend brainstorming and making yourself go with one of your first ideas. All it takes is a bit of discipline to start reaping the benefits of self-imposed deadlines and constraints! Even if you don’t like rules, your creativity probably does. It needs limits to give it focus, structure, and applicability—so give it some! Hone in on your niche or genre, set yourself some deadlines, and watch your ideas and productivity grow. Take inspiration from creatives whose work flourishes in the face of constraints, and embrace the limitations you may be tempted to find frustrating. Stop thinking of them as restrictions that are holding you down; instead, try to see them as puzzles. And once those puzzles are solved, you’ll be left with something that’s much more creative had you never faced any obstacles.